Lack of awareness and cognitive dissonance compels us to support industries that exploit and hurt animals for our own entertainment both when we’re at home (like going to the zoo or circus) and when we travel (like swimming with dolphins, getting photographed with tigers, or riding elephants). Our desire to be close to other animals and interact with them is exactly what causes them the most harm. Most of us are drawn to animals, and that’s a good thing, because it also means we want to help them and protect them, but it’s a bad thing when our desire to interact with them is at the cost of their own welfare, safety, happiness, or lives. Listen to today’s episode about how to travel to Thailand without harming animals. 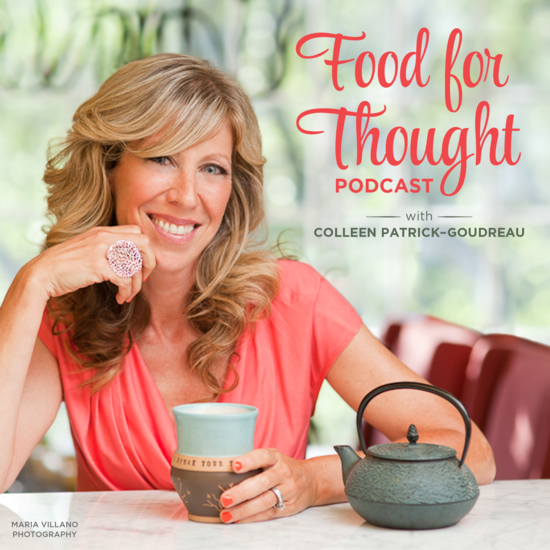 Don’t forget to subscribe to Food for Thought and Animalogy podcasts on iTunes, Stitcher, Google Play. Thank you to everyone who supports this work. Become a patron today. Enjoy photos of our CPG Trip to Thailand, complete with photos from the sanctuaries mentioned in this episode! *Speak up against animal performances when you hear of friends or family visiting Thailand. Give them the facts about elephant rides, etc. *Use your social media accounts to educate and raise awareness about the abuses behind elephant rides, photos with tigers, etc. *Share this podcast episode with friends and family. 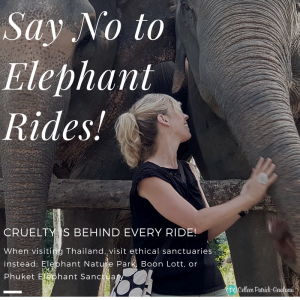 *Speak up when you hear about someone visiting Thailand WHETHER OR NOT they say explicitly that they’re going to ride elephants. They may not be thinking about it before they go but decide to do so once they get there. *If you want a compassionate experience with elephants, visit ethical sanctuaries like the ones I mention in today’s episode (and listed below). Animal Place List of US Companies – Did a Monkey Pick Your Coconuts?